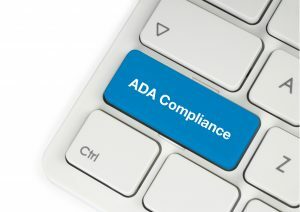 While the Department of Justice published the Americans with Disabilities Act (ADA), it has yet to publish definitive standards for what constitutes an acceptable degree of ADA compliance for websites. But that doesn’t mean websites are off the hook. Indeed, websites – especially websites for financial institutions – are getting considerable attention in the form of class action lawsuits and other legal actions. That’s why its important to ensure that your website is keeping pace not just with Section 508 regulations, but with emerging standards and best practices, such as those published by the World Wide Web Consortium, called Web Content Accessibility Guidelines, or WCAG 2.0. AffirmX has the experience and services you need to determine how your website complies with Section 508 and WCAG 2.0’s guidlines for being perceivable, operable, understandable, and robust. Want to know more? We’d love to help. Please contact us at 1-888-972-3624 or email us here or fill out the following form. We’ll get back to you right away.